Community over Competition was a resounding theme this year for Workbench Con and really in my opinion the theme about the maker community. I’ve never been part of a community that is so willing to help each other without worrying about something in return. It’s not a perfect community, there is still a tad bit of drama here and there (On Instagram) but for the most part everyone at this conference was genuine and helpful. 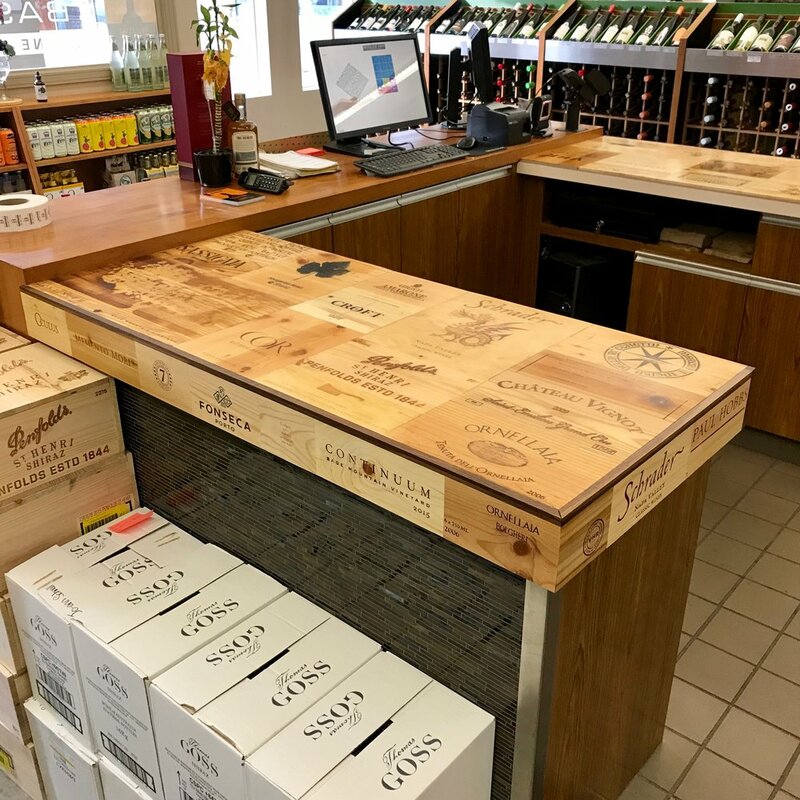 Late 2018 I was approached by our local boutique wine store Baseline Wine to upgrade their existing counter tops by using wine crates. After talking with Ryan and Che about the design I immediately accepted and got to work. They had been storing a lot of wine crates from some special places, as well as wine crates that just looked cool, and with that I started breaking them down so they could be shaped into a somewhat mosaic with the interesting parts from the crates. The job was unlike anything I had done before, but was easily my favorite project of 2018. It’s 100% unique and nothing I’ve seen before at least in the Alberta market. The best part, we were able to upcycle boxes that would otherwise just get tossed into the garbage or burned. 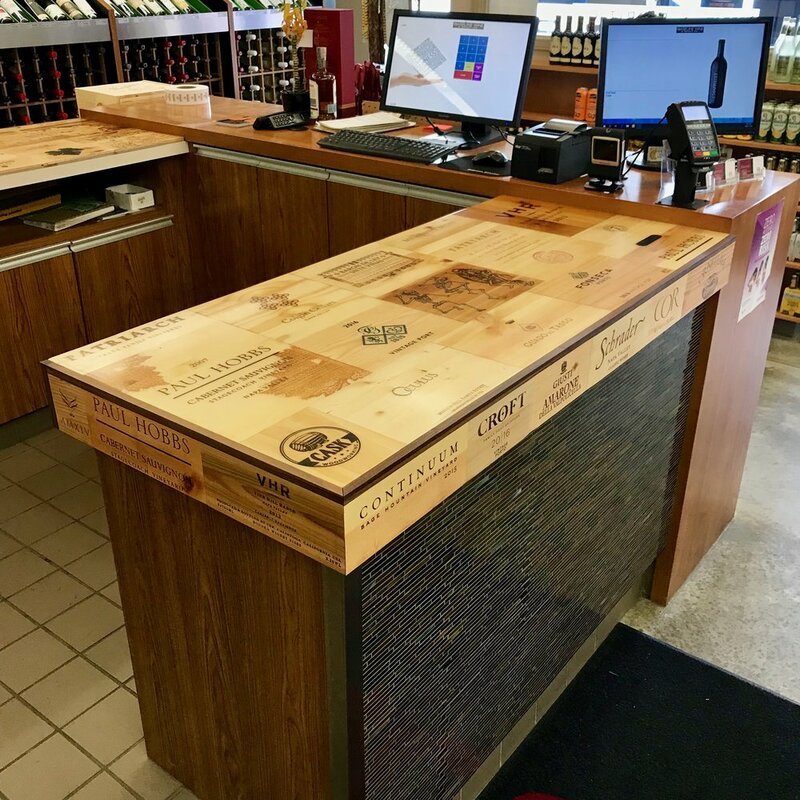 I learned a lot on this job and would do a few things differently, but overall I enjoy seeing it every time I stop in to pick up some wine . The glue up, no problem having weight! 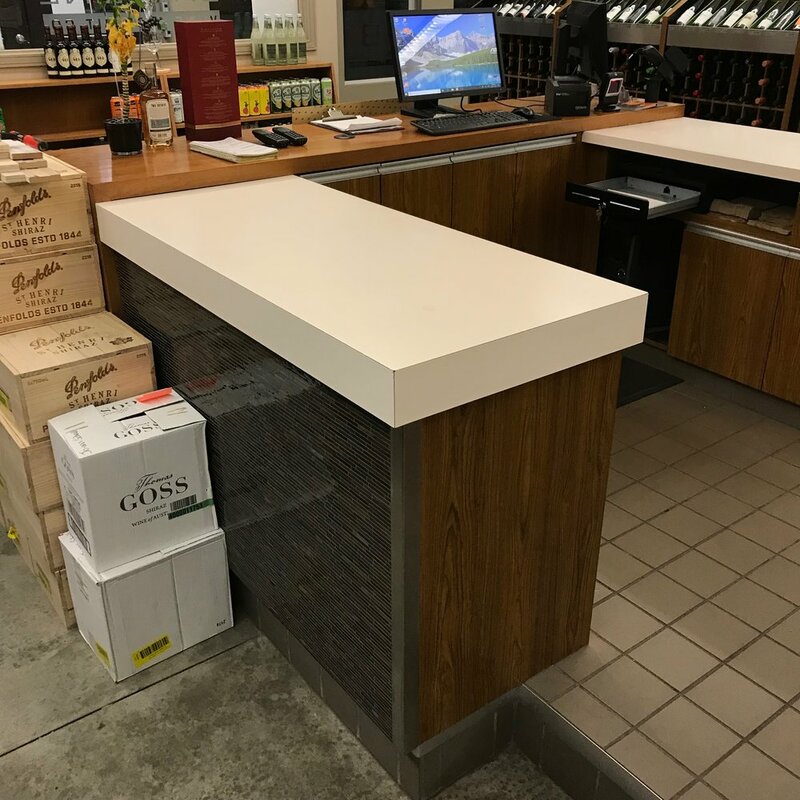 I think you’ll agree the new counter top coverings really add an extra dimension to the rather boring counter tops before. Finished with a layer of epoxy for protection, over time it just needs to be buffed to remove any hairline scratches over time. A quick shout out for a contest and someone I follow on IG.